Apples are considered to be the fall fruits, and they rank highest among other fruits harvested during the fall season. Moreover, juice and cider are some of the drinks, which can be said to be the primary products of an apple, which makes it an exciting and valuable fruit. 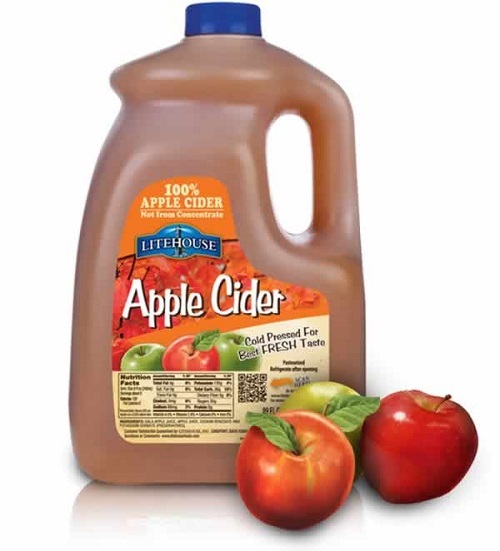 However, people have consistently made the mistake of confusing apple juice and apple cider. Surprisingly, even manufactures of the two products seem to be confused because they explain that the difference between the two products is only prevalent on the labels. However, there are significant differences between cider and juice as discussed below. Apple cider refers to the product produced after apples are washed and thoroughly crashed to the point where they form a thick liquid. It is important to mention that the liquid is not filtered to remove the solid particles, but it is consumed in its raw form. Apple juice is the liquid formed after apples have been thoroughly crashed to the point where they produce a thick liquid that is later filtered to remove all the solid particles and form a clear light liquid. Moreover, the filtered liquid is added water to make it lighter and clear. One of the primary differences between cider and juice is the filtration process. Cider does not undergo the filtration process, but it is consumed with the solid particles. This makes cider to be a thick liquid, which does not display free flow on glasses because of a large number of solid particles, which were not fully crashed by the clashed machine. On the other hand, the juice is the final product that is achieved by filtration of the thick liquid (cider) to form a fine clear liquid. Besides, water is added to make filtration easy and less time-consuming. It is important to highlight that the filtration is done using a cloth, which ensures that solid particles do not pass. Furthermore, cider forms the raw form of juice. The other difference between cider and juice is their ability to remain fresh for a more extended period. It is believed that cider is less perishable, which means that it goes bad quickly as compared to juice, which can stay for a more extended period before going bad. One of the factors that cause cider to go bad within a short period is because it has solid particles, which increase the chances of fermentation. On the other hand, juice does not have solid particles because it is refined and purified hence making it last for a longer period. The shelf life of cider is considered to be an average of two weeks. This explains why juices are placed on the shelves while ciders are placed in refrigerators. Taste and acidity form the basis for the other difference between cider and juice. According to the research conducted by the United States apple growers, the bitterness of cider was said to be higher as compared to the acidity levels of the juice. This is because the cider indicated signs of fermentation are making it have a sour taste as compared to the juice, which tends to remain fresh for a longer period. When it comes to taste, the cider was found to have a stronger taste as compared to juice. This can be attributed to the fact that there was no addition of water in cider while there is a significant addition of water in juice, which probably explains why it indicates neutral in the acidity test. Both apple juice and apple cider have different color and texture. The juice is clear because all the solid particles have been removed during filtration and pasteurisation process. Also, the juice has a yellow color that results after addition of water. The texture of juice can also say to be fine because all the solid particles have been removed. On the other hand, ciders are considered to be tangy and dense brown. The tangy texture is associated with the fact that they contain solid particles because they do not undergo filtration and pasteurisation. The dense brown color results from the crashed apples and remains because there is no addition of water to lighten the color. Lastly, consumer preference between the two beverages tends to vary due to their distinct taste and acidity levels. Although this remains to be debatable, many people are said to prefer juices than ciders. This is because juices are sweeter while ciders have a sharp taste that is almost sour due to the fermentation process underwent by cider after few days. Moreover, fermentation of cider produces alcoholic smell and taste, which makes it be avoided by young children and other people who have a high affinity for sweet products. It is important to highlight that those people with a high relationship with alcoholic products prefer cider to juice. 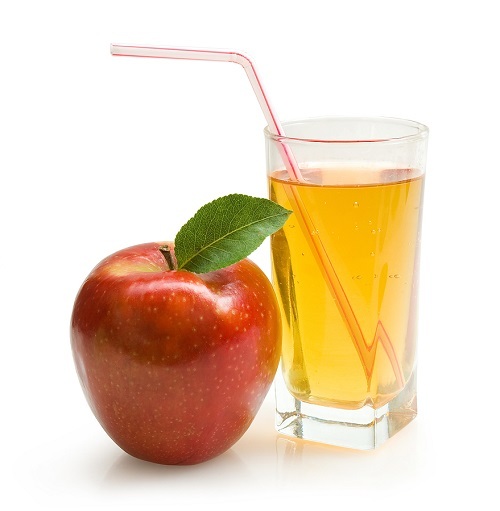 Cider and juice are two beverages that are sold over the counter in many fast food joints, retail outlets, and groceries. However, people have not been able to show the differences between the two Apple products that are significantly consumed during the fall. Surprisingly, even manufacturers and marketers seem to be lagging behind when it comes to expressing the distinctive qualities of the two drinks with some stating that the difference is on the labels. It is worth noting that there exist significant differences between cider and juice, which ranges from the taste, acidity, color, filtration process, and consumer preference among others. Jecinta Morgan. "Differences Between Cider and Juice." DifferenceBetween.net. February 5, 2018 < http://www.differencebetween.net/object/comparisons-of-food-items/differences-between-cider-and-juice/ >. Guyot, Sylvain, et al. "Direct thiolysis on crude apple materials for high-performance liquid chromatography characterisation and quantification of polyphenols in cider apple tissues and juices." Methods in Enzymology 335 (2001): 57-70. Titarmare, Ankur, Pranoti Dabholkar, and Suchitra Godbole. "Bacteriological analysis of street vendor fresh fruit and vegetable juices in Nagpur city, India." Internet Journal of Food Safety 11 (2009): 1-3. Vidigal, Márcia CTR, et al. "Effect of a health claim on consumer acceptance of exotic Brazilian fruit juices: Açaí (Euterpe oleracea Mart. ), Camu-camu (Myrciaria dubia), Cajá (Spondias lutea L.) and Umbu (Spondias tuberosa Arruda)." Food Research International 44.7 (2011): 1988-1996.